Posted in News on October 17, 2018 by emily.summars@noaa.gov. 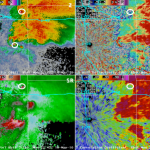 NOAA National Severe Storms Laboratory unveiled the newest radar innovation tested at NSSL on Thursday. 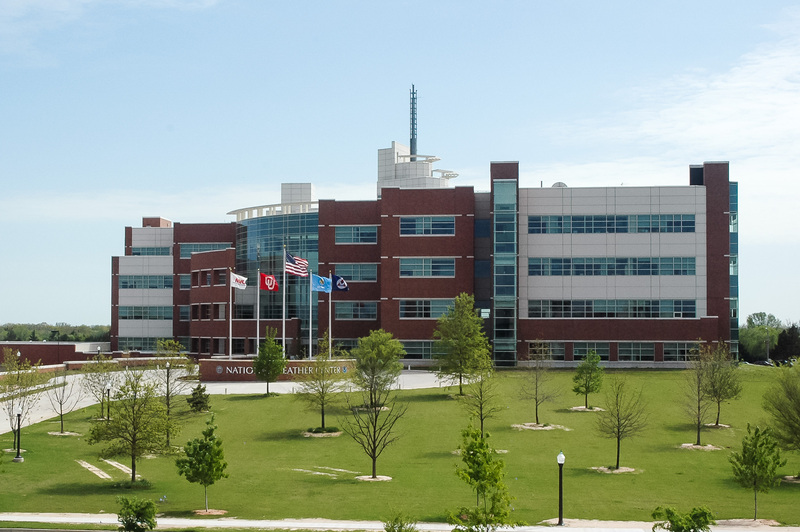 The Advanced Technology Demonstrator is the newest in a long line of radar innovations developed and tested at the lab in Norman, Oklahoma. 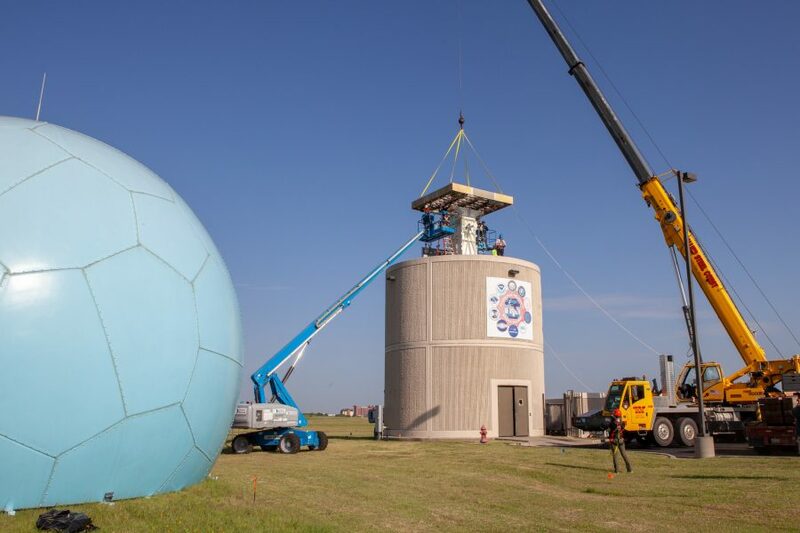 Funded by NOAA and the Federal Aviation Administration, the ATD is the first full-scale, dual polarization phased array radar developed specifically for weather and weather research. Unlike traditional radars the ATD is a flat panel antenna comprised of 76 panels. It combines the advantages of of phased array radar with the benefits of dual polarization technology. This means the ATD radar beam can steer electronically instead of mechanically, show the size and shape of precipitation while updating faster. This is the first radar combining both technologies designed from the ground up to specifically research weather. 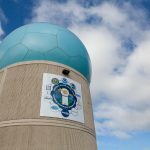 The ATD should be ready to collect weather data during severe weather season next spring. If the ATD and associated research is successful, we could be looking at NOAA’s radar of the future to improve warnings, protect lives and property, and reduce the economic impact of severe and hazardous weather. For more information, check out the ATD online.